The self-clinching, thru-thread standoff is ideally suited for fast and repeatable insertion via use of any standard mechanical, hydraulic, or pneumatic press. Their use effectively eliminates secondary operations such as reaming and deburring. JHP Fasteners stocks these industrial fasteners in sizes and materials that will satisfy virtually any industrial or commercial application. Contact Us today to place your next self clinching standoff order. 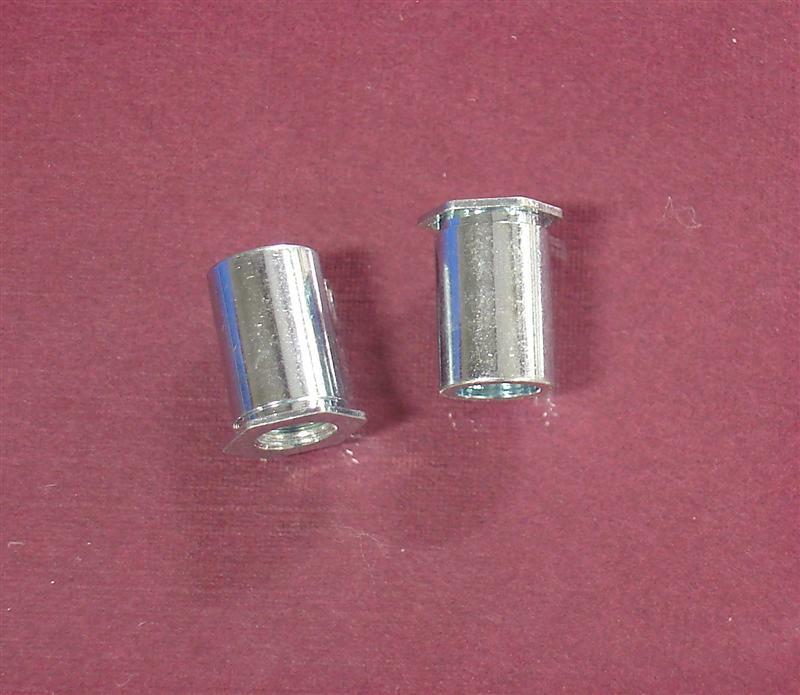 Insertion of these thru-threaded self-clinching standoffs can be done via a manual press or via use of an automated pneumatic or hydraulic press. When inserted properly, there will be no secondary reaming or deburring required. Depending on thread size, standoff material, and sheet material, an insertion force of between 1075 and 3900 pounds will be required. These standoffs should be used in material thicknesses of .040” (1.0mm) or greater. Depending on thread size, standoff material, and sheet material, a push-out performance of between 155 and 550 pounds will be attained. Torque-out will be between 10 and 72 pounds. Pull-through will be between 160 and 690 pounds. As the above data indicates, critical performance parameters are significantly impacted by the thread size and material composition of the self-clinching standoff, as well as the sheet material being used. Therefore, it is important to consider all the above when selecting the type of standoff that you will use in your application. This is where JHP Fasteners adds real value to the customer. With over 40 years of working experience in the industrial fastener market segment, we are uniquely qualified to provide our customers with expertise and advice that will make the selection process less daunting and more reliable. If you need our assistance, please do not hesitate to contact us or give us a call!